Challenging questions ranging from My Coo Ca Choo to a sport where players use mallets to hit their balls through hoops. The Picture Round is those uniquely English oddities… Collective Nouns and the Wild Card is an astounding fact about the New Horizons flypast of Pluto in 2015. Q08. Who wrote the play Cat on a Hot Tin Roof? Q16. My Coo Ca Choo was a first chart hit in 1973 for which British singer (who sported some serious sideburns)? Q21. In what game do players use a mallet to hit their balls through hoops? Q32. Which movie character has been played by Michael Caine in 1966, Alan Price in 1974 and Jude Law in 2004? Here’s a low-res sample of the Collective Nouns Picture Round, click for a higher resolution version. 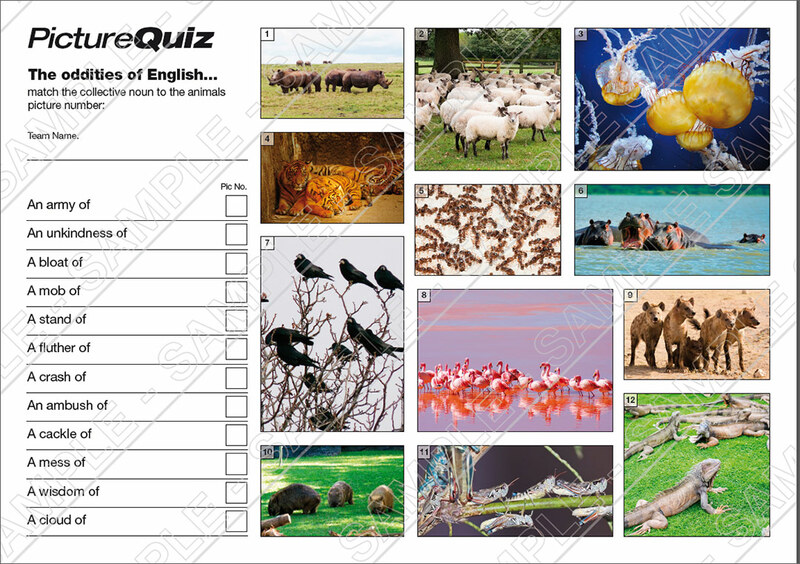 The Picture Round download is a two page high quality PDF with the answers on page 2. 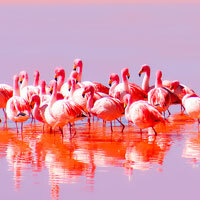 Quiz 037s Picture Round is can you match the creatures shown to their Collective Nouns? The Wild Card for Quiz 037 is an astounding fact about the New Horizons flypast of Pluto in 2015.